"Walking alone, but NOT feeling lonely as I have the strongest team backup!!!" Flexibility – home-based, it is able for me to manage and balance my career and family life, especially when my kids were baby. Moreover, it is an advantage to have prompt communication with factories (The time difference of Europe and Asia). Why did you choose to work for Forbo? ‘God has written’ – I was accidentally entered the flooring industry in 1998 and Forbo was the first flooring brand and planted in my mind (that time was the Forbo Sarlino’s dealer in Hong Kong). 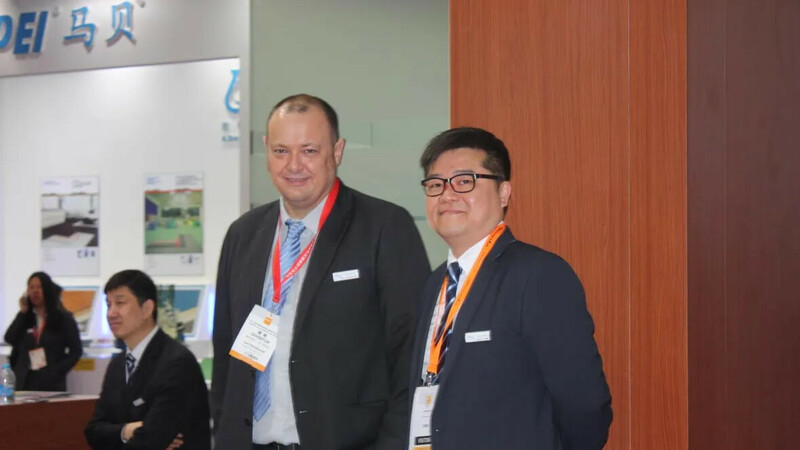 As my career developing (4 years in HK and 4 years in China), Forbo was getting stronger and more comprehensive product range in the flooring industry. Today, Forbo is a ‘Smart’ flooring solution provider in the market, not only presenting wide range of flooring materials, we are also delivery a strong message of ‘Reliable flooring systems’ by harmonizing industry, quality, sustainability and life style. This is one of the missions in my daily activities. What makes Forbo stand out from its competitors? * Understanding our weakness for further improvement. What do you think is the strength of Forbo as a company? Performance: durable, high abrasion resistance? Simple maintenance and installation? Green substance involved? Indoor or outdoor? Last for 5 year, 10 years? As long as people living, the requirement of flooring will not be ended. Forbo is ‘non-stop’ improving and developing our products. The most important is creating the demand and leading the market trend, which make us keep on growing. It is also a ‘positive drive’ to our business partners growing. I have been saying to the market, Forbo is delivering a ‘Reliable Flooring System, making life more safety’.